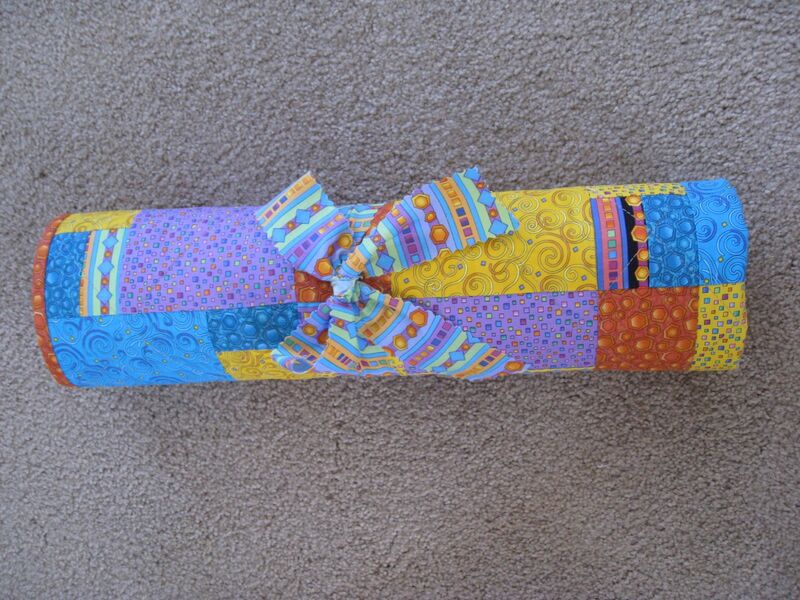 I used eight different prints and the Crazy Eights pattern by Bits ‘n Pieces for this attempt at a wild baby quilt. 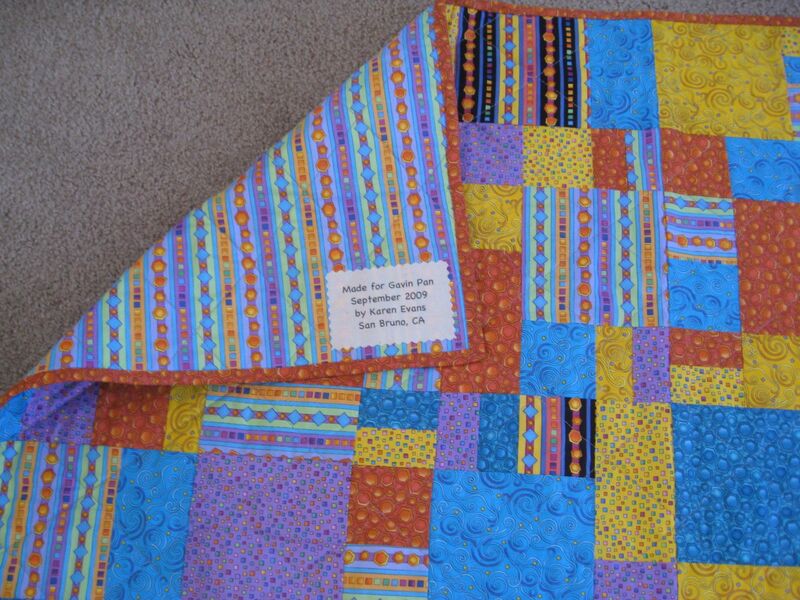 One of the comments I got from a previous baby quilt was that the parents really liked the bright colors. So no more pastels for me. Tropical Safari by Nancy J. Smith and Lynda S. Milligan, Possibilities for Avlyn Inc. I tried different border options and finally decided not to do a border at all. 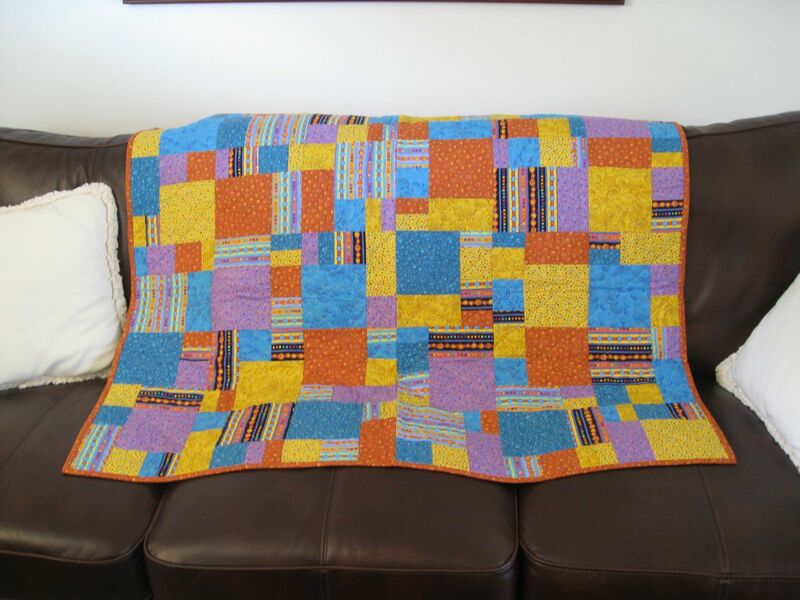 Lesson learned: It was a waste of time to carefully press the seams to one side while piecing because there was no rhyme or reason as to how they would be placed in the final blocks or how the blocks woud fit together in the final color layout. So I ended up wtih some seams that are folded both ways on the back. Not compulsively neat like I like it, but no one will know but me.